Each week we’ll pick one lucky winner to receive $50 in store credit at Schoola. Bonus points for modeling your finds. 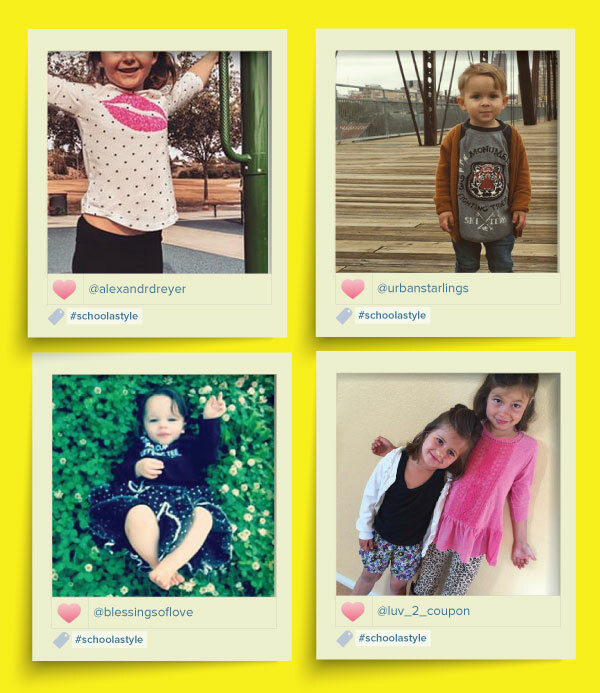 We might even share your photo on our website, blog, or social media! 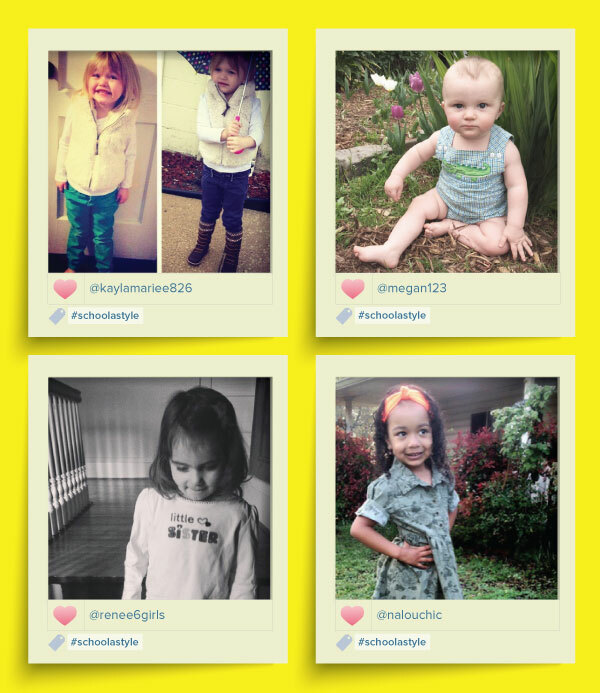 Check out some of the submissions we’ve already received in the photos below! We want to help you reach your fundraising goals in the 2015/2016 school year and beyond, so we’re looking for school stories to highlight on our website, social media channels, and in the press. Submit your school and you could be selected to be a Featured School and receive a boost in exposure to increase your fundraising results. Last year three schools were featured on Schoola and each school received an outpouring of support from donors and buyers across the nation. The best part? 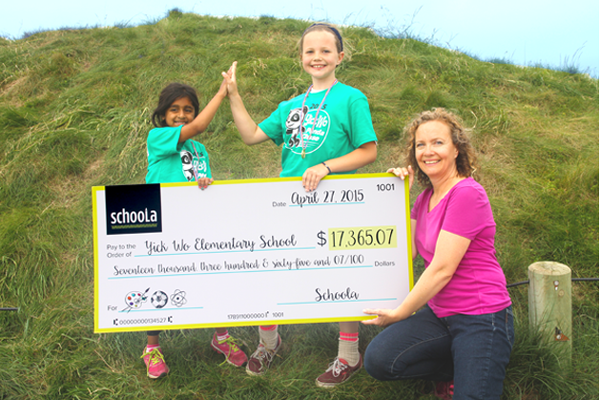 All of our featured schools exceeded their fundraising goals! Recently, we celebrated San Francisco featured school Yick Wo Elementary’s fundraising success with a check presentation ceremony (see picture above). They earned more than $17,000 after running four school-wide clothing drives. The funds will go to support their arts program. Our other featured schools have seen great success as well. Schoola’s nationwide community donated enough clothing for Abyssinian Benefit School in Harlem to build a playground, and KIPP Academy in the Bronx raised more than $27,000 to keep their orchestra playing. Your school could be next – simply fill out this form by June 15, 2015 to let us know a little more about your school and your fundraising goals and we’ll let you know by June 30th if you’re one of the 10 schools selected. We’re Making Improvements Based on Your Feedback! We launched a new sizing quality assurance tool this month, which has helped us process inventory more accurately, and ensure our sizes are labeled properly. Plus, you can now find a little sizing tutorial here. And as a reminder, you can always filter by size when browsing, which makes it easier to find exactly what you want. Have a question that needs an answer stat? We’ve built out our customer care team, and added a Saturday shift during big promotions to ensure you have a speedy reply. We’re listing more items on our site than ever, which means more goodies for you, and more money raised for schools. With a growing team at our warehouse, we’re now able to launch thousands of items a day. Keep an eye out for more product photography—we’re increasing our photo processing capabilities so you can see more angles of the items you love, and make more informed decisions about what you’re buying. We have more surprises up our sleeves (pun intended), but this is just a sampling of the improvements we’re making to ensure you have a great experience with Schoola. If you have more suggestions, we’d love to hear from you. Simply comment below. Your kiddos grow like weeds, and it’s hard to keep up with sizing. We’re here to help answer a few questions to make it easier to find pieces perfect for your little ones, and maybe a few for yourself! We don’t re-size clothes, but aim to accurately represent the size in the brand’s own words. There is some variation between makers, but in general the below guidelines hold true. What’s the difference between size 2 and 2T? Good question! Children’s garments marked with a “T” usually have room for a diaper or snaps inside the legs to make it easy to change a diaper, while those without the “T” are often styles that are perfect for a toddler who has graduated out of a diaper, and are cut slimmer for toddlers with longer legs who are already walking. Another difference is that clothing with the “T” is often more babyish in style compared to the mini-me styles of size 2. Of course this depends on the brand to some degree. 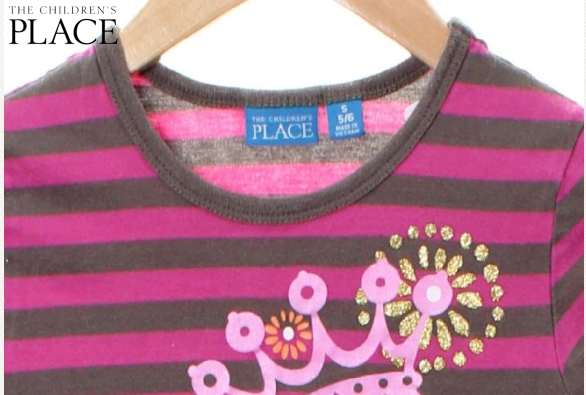 You’ll want to note, when sizes are listed in between, such as 18 months, we round up to size 2. You’ll also find size 24 months under size 2, but you can see the size on the tag marked in the details section on the product page. How about a size 6 vs a 6x? Size 6x is a funny size in between size 6 and 7–a true size smaller than 7, but a size larger than 6. It’s about an inch bigger around and an inch longer in length. Of course, as always, this varies by brand. This means if your child is big for his or her age, they can still dress like a first grader, rather than falling into the larger clothing size range of 7-12, which often means more mature styles. Size 6x is not a “plus-size” or “husky” size as it’s sometimes confused for. And not all designers offer this size. This size designation means there’s a little extra room in the waist, thighs, and chest. You can see when items on our site are husky by looking in the product details section. Why do some of your items have multiple sizes listed? We want to provide the most accurate sizing information possible, so if multiple sizes are listed on a tag, we make sure to include them all in the product details. With European sizes, we convert them to the comparable U.S. size in order to allow you to filter by size. This means they are often listed as multiple sizes. You can also always see the European size listed in the product details. You have women’s and men’s items in the High Schoola section. What gives? We want to earn the most for every school, so we accept and offer clothes that fit from 1 year to 18 years. Many teens wear adult sizes. The best part? This means you can find something for yourself when you’re shopping for your kids. All adult sizes are marked as men’s or women’s, and you can filter by size in the teen section. But what’s the difference between women’s and junior’s sizes in the High Schoola Girls section? Juniors sizes are designed for teens and are narrower than women’s. They are usually odd number sizes (ie 7, 9, 11), while women’s are even. What’s the deal with men’s sizes? Men’s sizes are expressed as waist measurements and are consolidated for ease of filtering. You can see the detail of the actual waist size on the product page. Do you have plus-size clothing on your site? Yes, we do! You can find plus-size clothing in the High Schoola Girls section, and you can filter for your size, up to size 22. Yup! All petite sizes are marked in the product details on the product page. We are constantly improving our website and are working to offer the ability to filter by petite within the next few months. Stay tuned! Well, hope that helps you find just what you’re looking for, but if you have any additional questions don’t hesitate to reach out at hello@schoola.com. 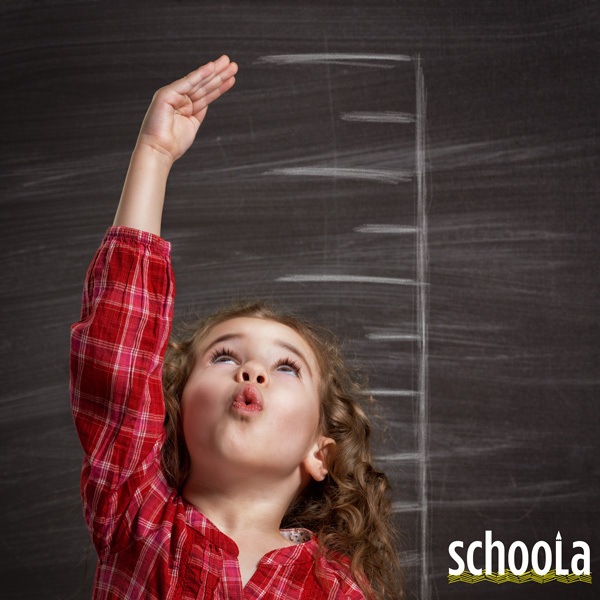 Have you always wanted to put Schoola to work for your school, but weren’t sure how to get started? It’s easy, and we’re currently working with more than 10,000 schools nationwide to help supplement their budgets. Your school could be next with the click of a button! 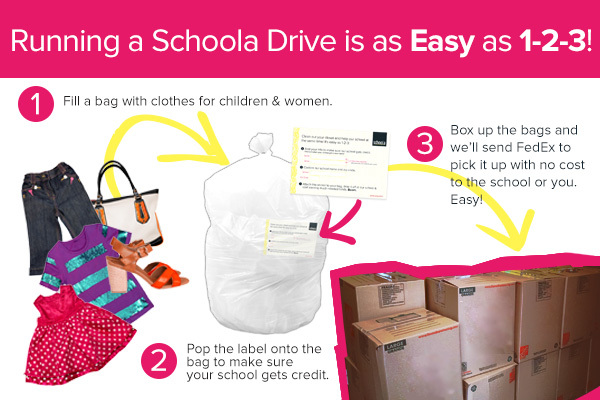 If you help book a clothing drive at your school before June 30, 2015, we’ll reward you with $15 in store credit* at Schoola! But the biggest reward will be the money earned for your school. This is a great opportunity for a fundraising push before the end of the school year, and we’ve made it easier than ever with this simple online form. What happens after you fill out the form? 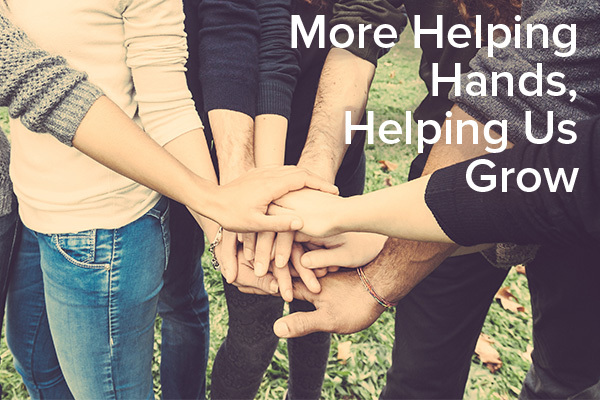 A Schoola Coach (AKA fundraising guru) will reach out to you so you can put them in touch with the right person at your school (if you’re not the go-to), usually the PTA president or the school principal. Your role? Be an advocate for making money for your school! First you select a week for your drive (we can book the drive as quickly as two weeks out!). Next, we’ll email you PDF flyers to send home to parents. This introduces them to Schoola and asks them to clean out their closets for the benefit of their school. Once your week-long drive starts, parents will bring in bags of their gently used kids’ and women’s clothing, accessories, and shoes. (No PJs, stained items, or pieces missing the manufacturer’s label–think about what you’d hand down to a friend.) We’ll also provide labels so parents can enter their contact information and adhere these to bags to make sure your school gets credit for their donations. In no time we’ve got your items up on your school’s Schoola Page, which you can share with your friends and families in case they’d like to shop to support your school. The best part? You can track the progress of your drive in real time! We cut checks for your school’s share of the proceeds quarterly, so it doesn’t take long to see a return. So what are you waiting for? Book a drive before school’s out for the summer and you’ll get an A+ for fundraising. *You will receive your $15 credit code via email on or after June 30, 2015.